Congratulations! You are lucky to live in an area with a long growing period where you can enjoy flowers for much of the year. With that said, there are still some challenges to gardening in this area. Temperatures can go up and down like a rollercoaster, and the heat and humidity make this a breeding ground for disease and insects. Over the years, I have learned what some of the “tough” guys of the annual flower garden are, so let’s talk about them. I’ll talk about the sun lovers first. Hands down, the toughest plant that we sell is Lantana. This beauty takes heat and drought like a champ, and rabbits and deer don’t like it. It is available in several colors and in an upright or sprawling form. Flowering vinca is number two on the tough scale. It is a prolific bloomer available in shades from white to red. The only downside to this plant is that it should not be planted in the same bed repeatedly. It harbors a fungus in the roots that will build up after about 3 years. Try alternating it yearly with another flower. If you are absentminded about watering, Portulaca is your friend. It has a succulent leaf and takes the summer sun and heat very well. The flowers do close in the middle of the day, but that is the time that most of us are least likely to see it anyway! Verbena is another tough little sprawler and is available in several colors. It also comes in a perennial form if you love it so much you want to keep it! Angelonia is a terrific plant that will add a little height to your landscape or containers. Some people call this the summer snapdragon because of the similarity in blooms. It is heat and drought tolerant once established. 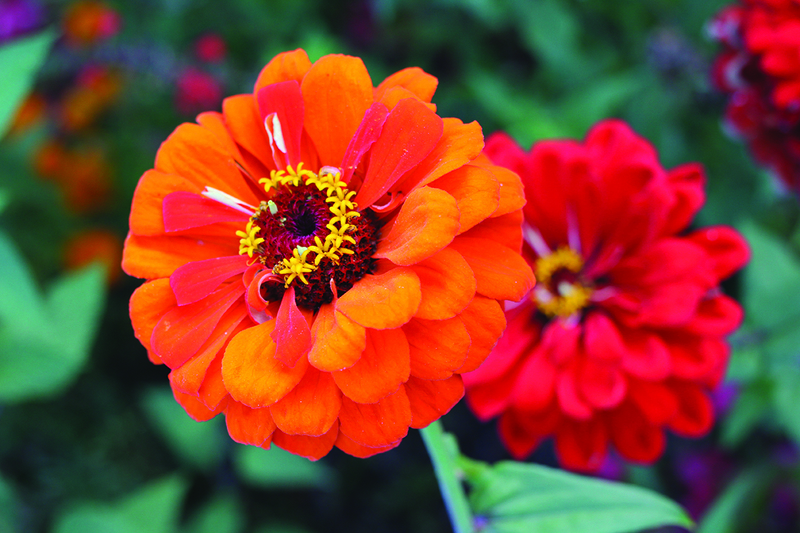 Zinnias are an old-fashioned plant that has stood the test of time. The larger blooming ones make great cut flowers, and the smaller Profusion varieties are great in the landscape. Petunias, and their mini-me friends the calibrachoa, are great plants that can fill up an area quickly. They do prefer weekly fertilizing and may need the occasional haircut. I had a Cali survive in a pot all winter! Impatiens are the probably the most popular shade lover, which is why the impatien downy mildew problem a couple of years ago hit so hard. As a reminder, there were no greenhouses in the state with this disease. That is another reason to always buy from a local grower. Impatiens can take some fairly deep shade and will let you know if they are dry. Give them a drink and they will perk right back up! Green leaf begonias are a close second for shade gardens. They are available in white, pink and red. Their larger cousins the big leaf and dragon wing begonias are also wonderful if you are looking for something a little bigger for containers or beds. Tuberous begonias have stunning colors, and there are also some new varieties in the Angel wing family. I love caladiums and have them in most of my pots. Those big, heart-shaped leaves make a dramatic statement in containers as a background for smaller plants. Coleuses have beautiful foliage and are another great backdrop for smaller plants, or do fine as a standalone. The Kong series is my favorite. Have you seen the Torenia? It is also called Wishbone flower and is available in blue, which is unusual. I like it because it is pretty and because it is very attractive to bees. We need to help our pollinators! My last shade loving recommendation is the good ole fern. Boston ferns look great hanging, and Kimberly Queen ferns are an upright that can take some sun. Both are heavy feeders that will love to be fertilized every other week or so. These are, or course, just a few of the plants that we have in stock. We also have a great selection of perennials, and we will be happy to help you make good choices for your yard! When you hear “East Tennessee Foundation,” you might immediately think of the many charitable resources this foundation has contributed to East Tennessee over the past 30 years. From scholarships to wildfire relief funds, this organization has its hand in charity work all across our region, with over $250 million in cumulative grants awarded since 1986. 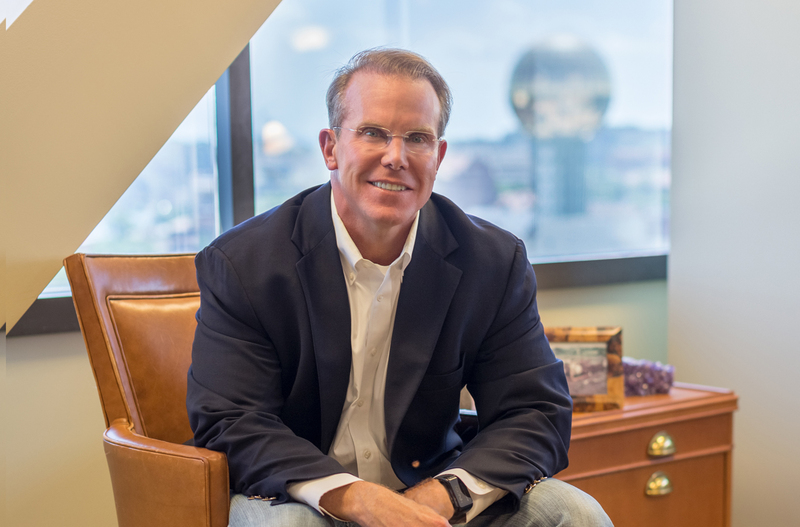 Many, however, do not know the story behind East Tennessee Foundation’s President and CEO, Mr. Mike McClamroch. Mr. McClamroch graduated from Webb School of Knoxville, Furman University and Cumberland School of Law. He was a lawyer with the firm of Egerton, McAfee, Armistead & Davis as well as an active volunteer in the community before taking the lead role at the East Tennessee Foundation in 2001. He and his team helped build the foundation from total assets worth $30 million to now over $300 million. We had the privilege of speaking with Mr. McClamroch at his office in downtown Knoxville. Sincere gratitude and thankfulness radiated from Mr. McClamroch as he discussed his upbringing, his faith and family, his present-day accomplishments and what the future may hold. We want you to tell our readers about who you are! Can you begin by telling us about your childhood? Can we talk a little bit about your upbringing as far as your faith is concerned? Is it a big part of your life? Tell us about your son. We know he is very important to you. What sort of goals did you have when you were younger? Tell us about the East Tennessee Foundation and what you do there. What ETF accomplishments are you most proud of that have taken place in the last year? Looking ahead at the next couple of years, what is the ultimate goal? The Foundation is a grant-making institution comprised of over 425 charitable funds established by donors interested in impacting their communities. ETF can accept almost any asset of value. If you have questions about charitable giving, feel free to contact Mike or his staff at 865-524-1223 or visit their website for more information: www.easttennesseefoundation.org. When was the last time you saw a total solar eclipse? Chances are, your answer to this question is going to be, “Never.” Even if you have seen a solar eclipse, the likelihood of it having been a total solar eclipse is very slim. But on August 21st, those within what is called the “path of totality” will have a chance to witness a historic event with their own (properly shielded) eyes. And it just so happens this narrow path stretching from Pacific to Atlantic runs right through Sweetwater, Tennessee. A solar eclipse is when the moon passes between the sun and the earth, fully or partially blocking the sun’s light. According to UT Professor and Director of Space Science Outreach, Paul Lewis, what makes a total solar eclipse so special is the sun’s corona. All of those wispy trails of heat, much hotter than the surface of the sun itself, are only visible to the naked eye during a total eclipse! The next total solar eclipse will not happen for another seven years, and there are no guarantees the path of totality will be this close again. Don’t miss out on this opportunity to witness a scientific phenomenon, make new friends, peruse some local businesses and enjoy a fun-filled day out in Sweetwater, Tennessee. The Solar Eclipse festival in Sweetwater is from 10am to 5pm on August 21st. Totality will begin around 2:35pm in Sweetwater and typically only lasts a couple of minutes. 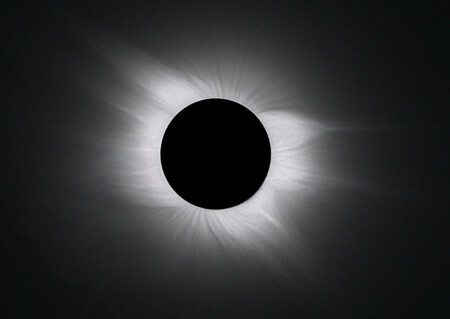 For more information, visit: www.sweetwatereclipse.com. Whether you choose to watch the eclipse out in Sweetwater or from your own home, remember to always properly protect your eyes. You should never look directly at the sun, even during an eclipse. Viewing packages, which include a t-shirt and certified glasses, are available at http://www.sweetwatertn.net/eclipse.html. If you’re feeling crafty, you can make your own homemade viewing device using household items, like a mirror and an envelope. Resources for homemade viewers can be found at the NASA website: https://eclipse2017.nasa.gov/resources. Dining out is a great way to experience new cuisine and enjoy a meal with family and friends. 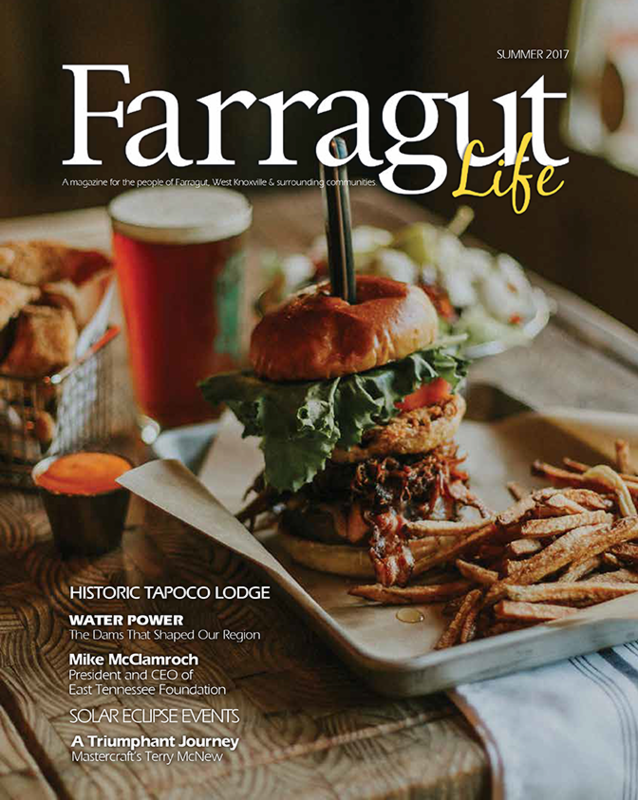 Farragut Life Magazine would like to suggest a few great plates this summer. 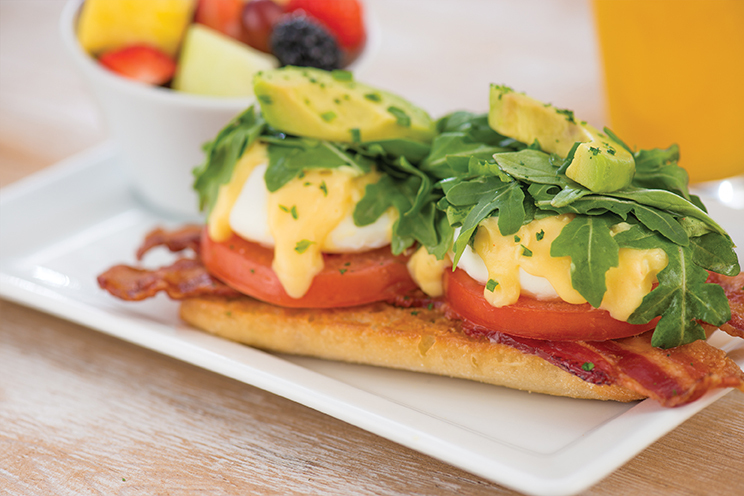 First Watch has a Bacon Egg Benedict that is good for breakfast or lunch. All of their food is made fresh and they now have 4 locations in Knoxville. Lakeside Tavern has a great shrimp salad for lunch or dinner, we also love their half price wine on Monday nights. Rick’s Dockside Grill at Tellico Marina in Vonore is a summertime favorite. This summer they are open for lunch and dinner. Great food and entertainment. Jump on the boat or drive to Vonore for the best tacos we could find! All these restaurants have wonderful food and you can enjoy the weather outside or stay cool indoors. There are those who measure success by a job title or social status, and there are others who measure success by hard work and the ability to overcome hardships. No matter how you quantify the word, Terry McNew is, without a doubt, an incredible success story. Terry was born in Florida but raised near Compton, a city in southern Los Angeles County that has struggled with unemployment and crime. His father served in World War II as a “Frogman,” or combat diver. Upon his release from the service, he worked in the space program but was laid off when Terry was 9 and remained unemployed until Terry was 12. He was eventually rehired into the manned space program, but this taught Terry to be self-sufficient at an early age. Despite family hardships, Terry discovered a love for watercraft. He and his brother, who was almost 5 years older, rebuilt a Glastron Boat and sailed off into the Pacific Ocean to catch what they could. They discovered that with a slight redesign of the hull, they could get better performance from that boat…and thus began his thirst for a career in design and performance of watercraft. At age 16, while still in high school, Terry decided to strike out on his own. Getting jobs wherever he could, he saved his money while living with his godfather in Stanton, California, sleeping on his own store-bought foldout sofa in the living room. Terry then moved to Florida, where he worked for a company selling heavy construction equipment. 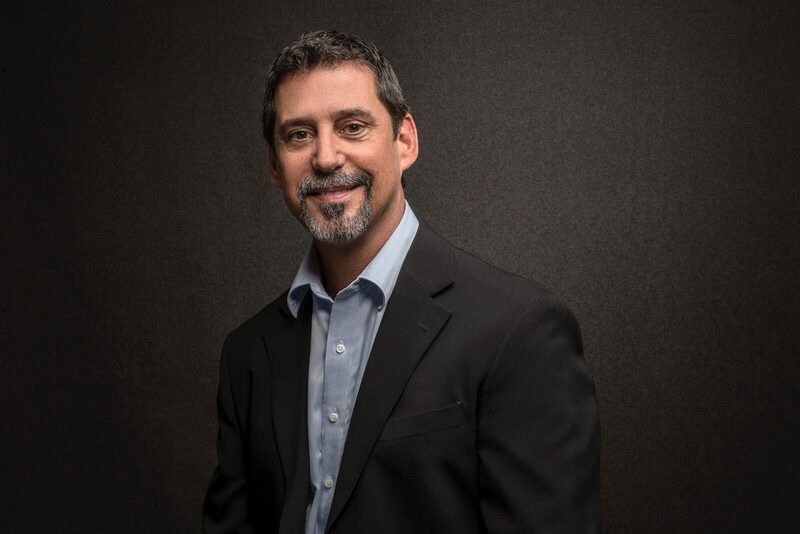 He funded his own education and graduated with a BSBA degree in economics from the University of Central Florida, College of Business Administration. He then began his career with Sea Ray’s PD&E division in Merritt Island, Florida, a division of Brunswick. The years that followed included an array of positions as he began his ascent toward CEO. Terry worked in several areas of manufacturing at Sea Ray boats, holding different key roles before taking the position of Vice President of manufacturing in 2001. In 2004, he was offered and accepted the position of President and Chief Executive Officer of Correct Craft Boats. In 2006, he was again invited to join Brunswick, where he held several executive positions at Sea Ray and Brunswick Boat Group. In August 2012, after 24 years in the boating industry, Terry was offered the position of President and Chief Executive Officer of MasterCraft. During his tenure as CEO of MasterCraft, the company has grown from a production level of 1,200 boats a year, to just under 3,000. In 2015, Terry led a team that took the company public, and they are now listed on the NASDAQ exchange. He even got to ring the closing bell at the exchange on the day of the IPO offering. Terry has several additional success stories of his own – his son, Philip, and daughter, Tara. Philip is a staff sergeant in the United States Air Force at Langley Air Force Base and is currently serving in Afghanistan. He has served 13 years so far. Philip is married to JoAnna, who is also a staff sergeant in the Air Force. They have two children—Aiden, who is 8 years old, and Jude, who is 6. Terry’s daughter, Tara, lives in Redding, California, with her husband, Jordan, who recently graduated from Moody Bible College. They have two children, Isiah, 6, and Lizzy, 3. Terry recently married his beautiful bride Allison in March and added three more children, Leah, Lauren and Beth, plus, two more grandchildren, Parker, 3, and Graham, 1. In addition to his successful career, Terry contributes to a number of missions that provide various kinds of aid to families that need assistance. He has a caring heart and a strong faith in God and feels he has been blessed over the years with God’s guidance. His motivation comes from his desire to leave this Earth a better place than when he got here—and this sentiment, truly, makes him the greatest success story of all. Though the spotlight for high school sports might always be on the grand spectacle that is American Football, other sports hold just as much meaning to the students, coaches, and parents who participate. Though void of many of the grandeur of the Friday night lights, these sports develop a sense of teamwork and the spirit of competition that will last a lifetime. For those on the Farragut Swim Team, this is no exception. The Farragut Swim Team was formed with the sole intention of developing swimming skills in young students. Although the ability to make an open field tackle or to kick a soccer ball with the perfect amount of weight might be useful on the field, swimming offers a unique skill that serves as a trait that has the potential to save lives, making it arguably the most useful sport in terms of lifelong practicality. The Farragut Swim Team has grown incredibly in the past decade, both in the number of swimmers and its quality. The Middle School Team, which was established 5 years ago, has since blossomed and now showcases over 60 of Farragut Middle School’s best. Development at a young age is key, and many of these swimmers will go on to practice and compete on the High School team and beyond. In fact, many of the Farragut Swim Team’s senior swimmers have gone on to swim at the college level. 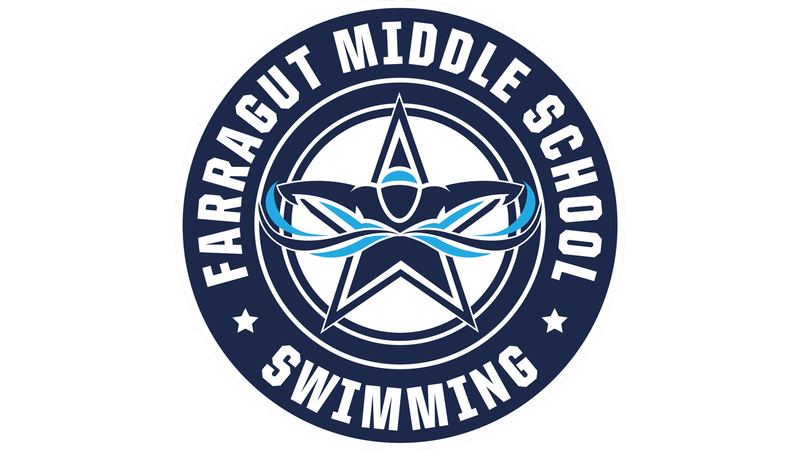 The Farragut Swim season starts after Labor Day, with team practices 3 times a week (2 per week for the middle school) for the duration of the season. Meets are held on Sundays at the UT Aquatic Center, giving a grand setting for the nearly 100 competing students. The team competes in standard swimming competitions, as well as diving competitions. The team holds meets against universal rivals such as Bearden, Hardin Valley, and Maryville. Those who wish to experience these competitions are welcome to come out and show your support! The Tallassee Power Company began construction of the first of five dams in 1916. 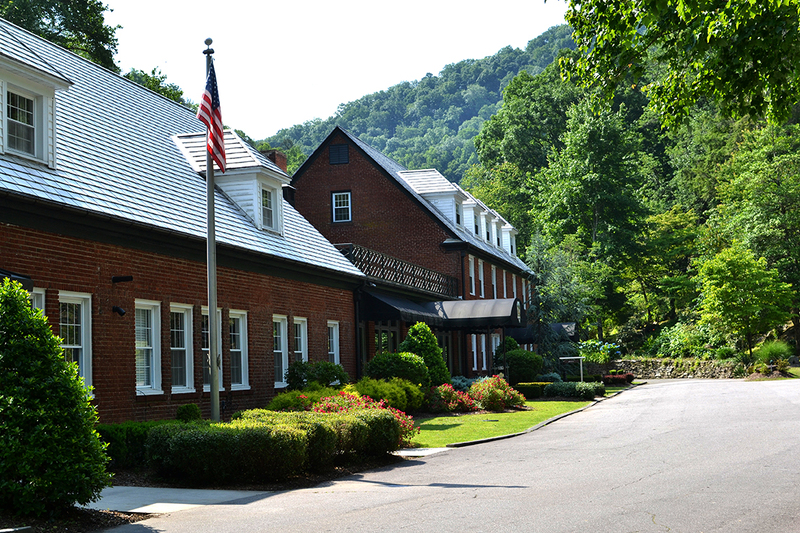 The Tapoco Lodge was built by the Aluminum Company of America as part of the hydroelectric efforts in Graham and Swain counties of North Carolina. The lodge itself was used for company functions while the town of Tapoco on the property provided housing for hundreds of dam workers. If you love the outdoors and adventure, Tapoco Lodge is for you! In 1930, the Tapoco Lodge was built in the Nantahala National Forest to house workers for hydroelectric dams. Now that lodge is a dream spot for active vacationers. The area around Tapoco Lodge offers 10 miles of hiking trails for all experience levels, as well as paths for mountain and road biking. Prefer to fly instead of walk? There are several ziplines in the area! For water lovers, fly fishing is available on lodge property, and lake fishing and boating are also available at lakes nearby. If you are looking for a different sort of adventure, Cheoah and Nantahala Rivers offer whitewater rafting, canoeing and kayaking. On calmer days, you can visit the Cheoah Dam, featured in the movie The Fugitive, the Kilmer Memorial Forest or take a scenic drive on the Cherohala Skyway. Adventurous drivers can also explore the popular winding road known as The Dragon, which will keep you on your toes with its 318 curves in 11 miles. Tapoco Lodge has rooms varying from spacious lodge suites to cabin rooms with scenic views. Private areas are available on the property for retreats, meetings or weddings. Book your stay now by visiting http://www.tapocolodge.com. of Western Carolina. Order up a brick oven pizza for the family or indulge in the house favorite, “The Dam Drink” from our full-service bar. From steaks, burgers, salads, hummus and local Carolina Mountain trout, there’s something for everyone. New for 2016 – Our Tapoco Tavern has been renovated and expanded. Now offering a full lunch and dinner menu. We have plenty of indoor seating, or relax at the outdoor riverfront tables. Private room available for groups. Call ahead for pickup at 828.498.2800.